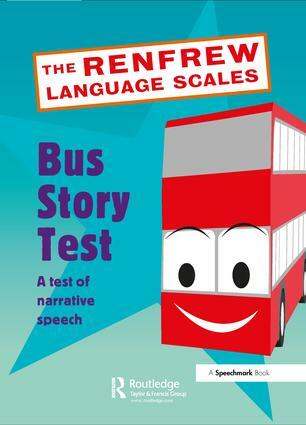 Catherine Renfrew's three tests have been used for many years and provide a means of assessing children's speech and language. Presented in a simply and easy-to-use format, they stimulate children to give samples of spoken language that can be evaluated in terms of grammatical structures, sentence length and identifying information. Completely revised, these new editions contain line-drawn pictures, a manual and a photocopiable scoring form. All tests are suitable for use with 3-8 year olds are norm referred to enable therapists to produce comparative results. Norms are given at six-monthly intervals for both the Action Picture Test and Word finding Vocabulary and monthly for the Bus Story Test.